Modern braided hairstyles in every shape and style dominated this fall’s runways. Messy fishtail braids, side swept braids, and delicate wrapped braids add personality to any fall outfit and secure your hair from the autumn breeze. Whether you’re a hair styling novice or a hair guru, these five tutorials will help you replicate this fall’s best braided hairstyles. It’s easy to add a bohemian flare to your fall look with this simple tutorial from Barefoot Blonde. 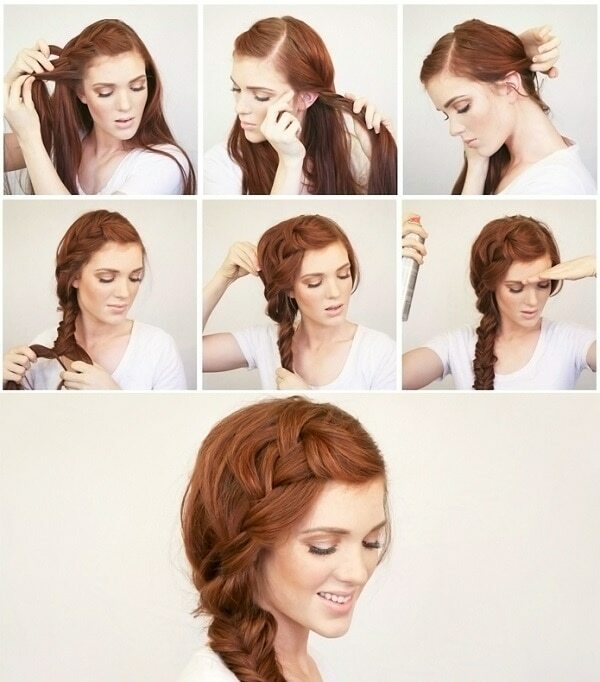 Simply braid several sections of hair and leave the rest straightened and loose. The contrasting textures create a modern hippie look. 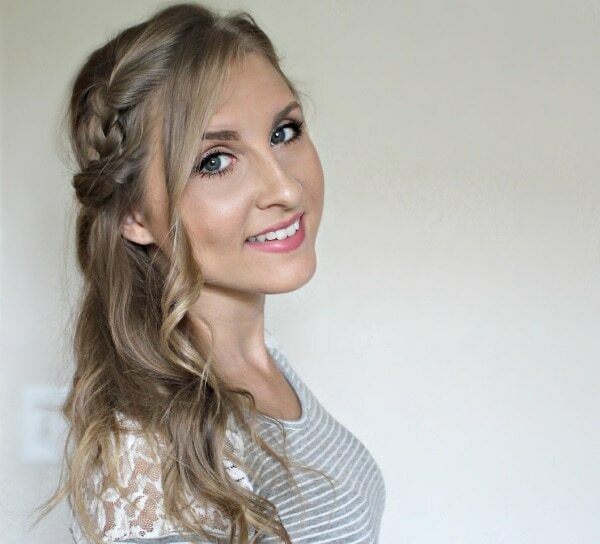 Hair and Makeup by Steph’s braided high bun tutorial is the perfect braided hairstyle for the office or any formal event. By updating last season’s topknot with a braided headband, you’ll instantly look classy and sophisticated. 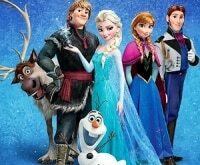 After Disney’s Frozen was released earlier this year, everyone has been trying to copy Elsa’s beautiful side braid. 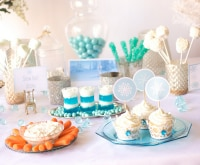 Elsa’s signature look has graced magazine covers and runway show catwalks, but now you can create the look for yourself. Follow this tutorial by The Freckled Fox to learn how to form the perfect side braid. 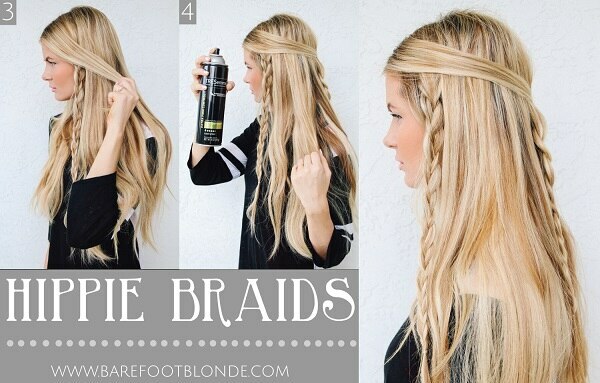 With a few easy steps, you’ll have an elegant side braid that’s as cool as Elsa. 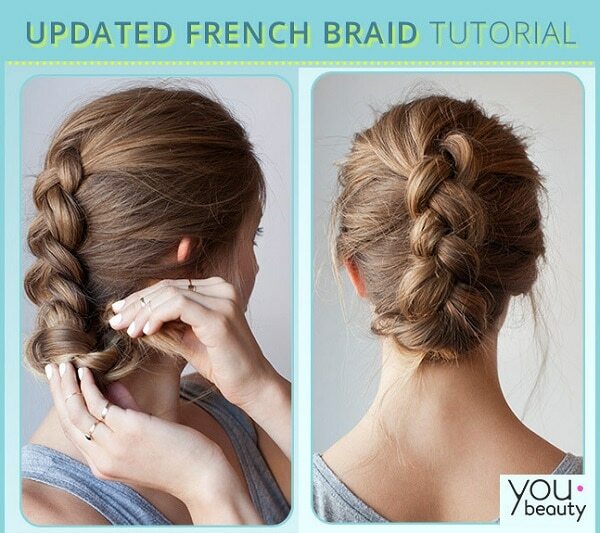 This tutorial from YouBeauty is a modern take on the traditional French braid. After completing the French braid, the bottom strands of the braid are tucked underneath the upper part of the braid. 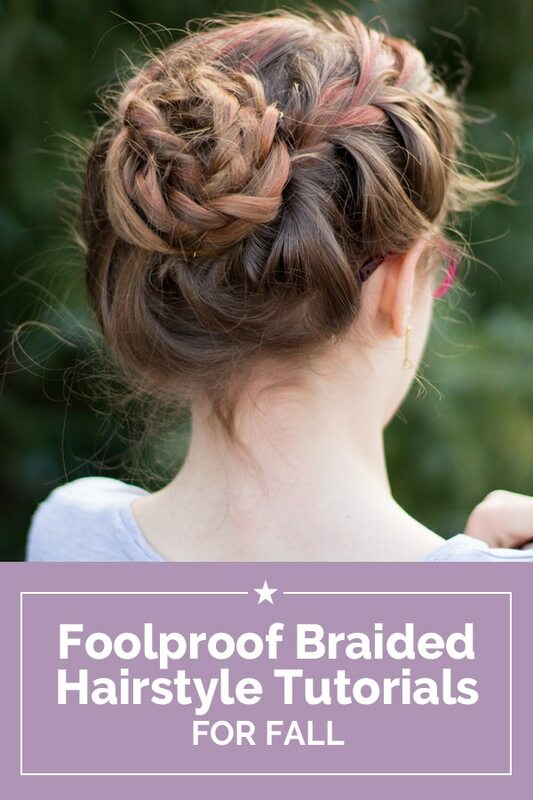 This quick additional step instantly transforms the braid into a beautiful up-do for any party. For an easy take on this fall’s popular side swept braid, follow this easy three-step tutorial. 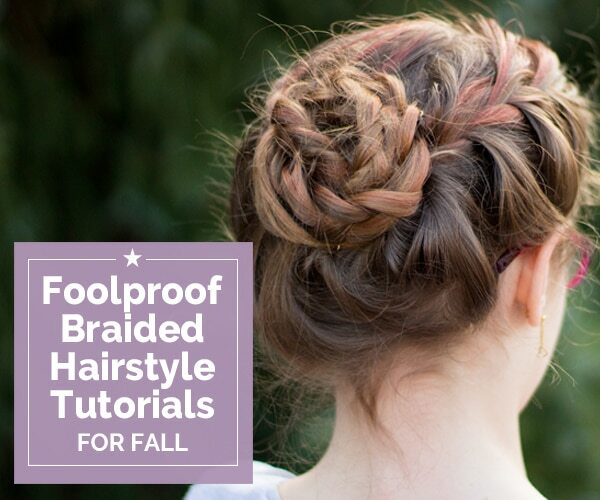 This braided hairstyle is soft, romantic, and ideal to wear alongside fall’s fashion trends. Begin this look by creating a deep side part in the hair. Take a small section of hair from the side where the hair is parted roughly two to three inches from your face. 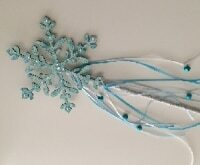 Use this section of hair to create a traditional braid and secure with a clear hair tie. This season’s runways celebrated loose and messy braids, so fluff the finished braid by lightly pulling it apart. Next, create a smaller braid from the section of hair directly next to the face and secure with a clear hair tie. 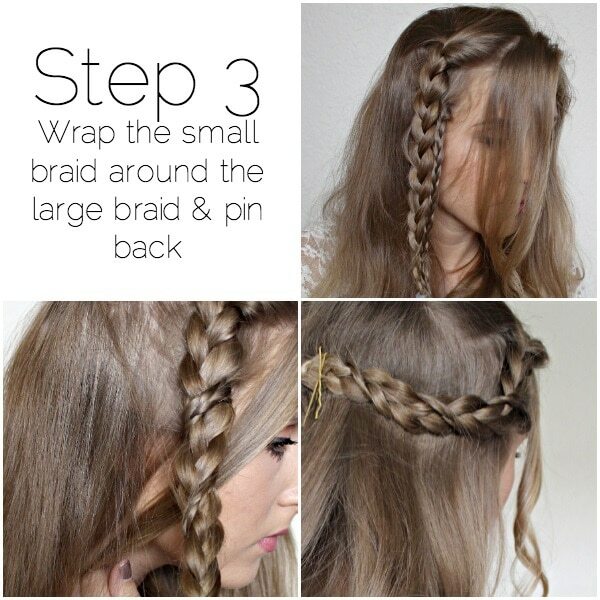 For the final step, take the smaller braid and wrap it around the larger braid. Secure the end of the smaller braid with a clear hair tie or bobby pin. 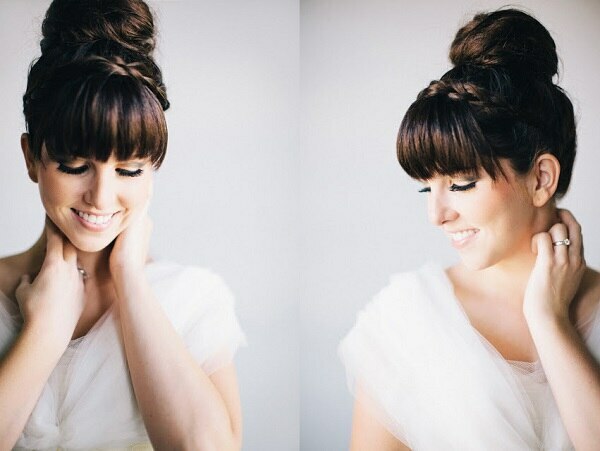 Take the end of the wrapped braid and secure it on the back of the head with two crossed bobby pins. Add curls or loose waves to finish the look. These foolproof braided hairstyles work best with textured hair. Be sure to spray a mist of dry shampoo on your hair before braiding for long-lasting braids. Follow the easy steps of these braid tutorials for beautiful, no-heat hair styling all fall.